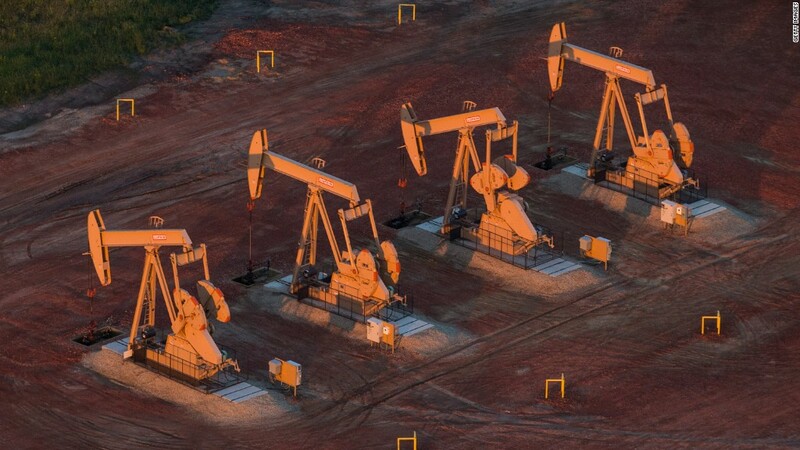 What will the Fed say about oil prices? For months the Federal Reserve has been fixated on jobs, jobs, jobs. Is hiring strong enough in the U.S.? And what about wages? But now there's another wild card in the mix as the Fed considers when to raise interest rates: oil. The stock market just suffered its worst week in years along with a dramatic drop in oil prices. So investors and economists are now wondering if the Fed will (or should) discuss what impact lower energy prices may have on its outlook for inflation. "That 800 pound gorilla known as oil? Will anybody notice it? Yes. It will be noticed. The Fed will have to address it. It needs to be proactive," said Dorothy Weaver, CEO of Collins Capital and former chairman of the Federal Reserve Bank of Atlanta's Miami branch. 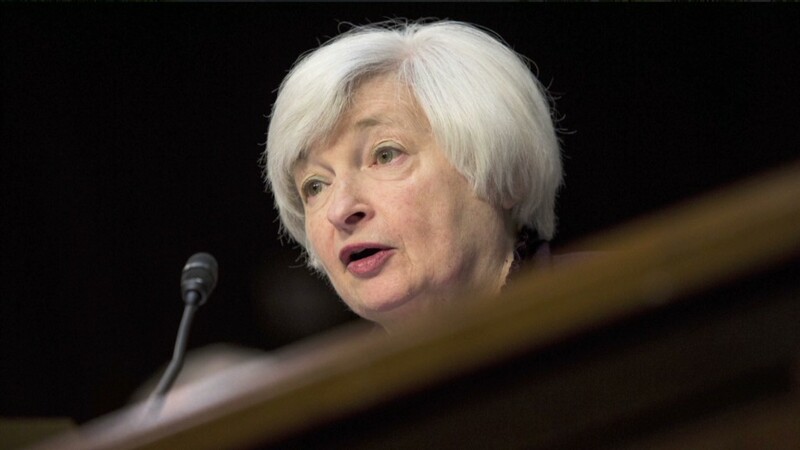 The Fed meets this week and will put out a formal policy statement Wednesday. Traders will be watching to see if the Federal Reserve finally drops the term "considerable time" from its release. The Fed has been using that language to describe how long it thinks it should keep interest rates near zero. Weaver thinks the Fed will need to talk about how oil may be a factor that is keeping inflation relatively low either in its statement or during the press conference by Fed chair Janet Yellen. That's important because inflation is one key thing the Fed looks at when making decisions. The other is the job market. The job market is humming along nicely. 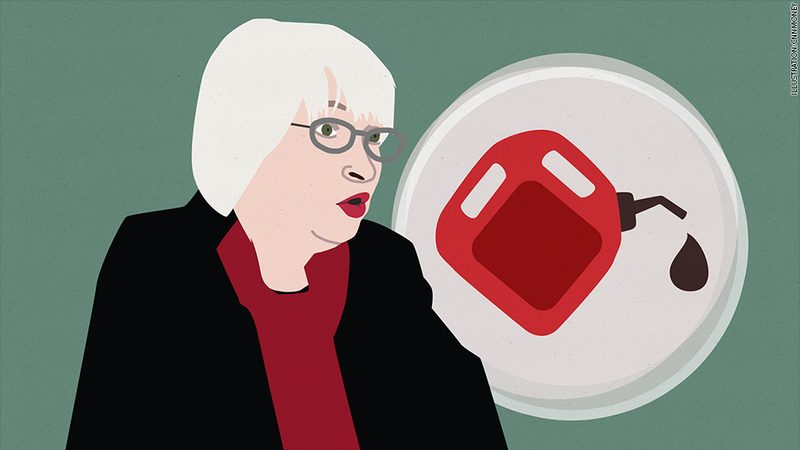 But now Janet Yellen may have to worry about plunging oil prices. Time to raise rates: With the unemployment rate continuing to fall and the economy adding jobs this year at the best clip since 1999, the Fed should feel comfortable finally raising rates sometime in 2015. Rates have been near zero since December 2008. The lack of inflation has to be a concern too though. The Fed has two official tasks, or mandates: trying to maximize employment and keeping prices stable. If oil prices continue to fall and the prices of other goods follow suit, that could be a sign of a weakening economy and deflation. Interest rate hikes would not be a great idea if the economy is still fragile. The oil scare: That's why Weaver thinks the Fed will continue to indicate that any policy changes will depend on the data, not the calendar. "Yellen will want to keep her options open," she said. "People are spooked and nervous right now. Anything can be a tipping point for the market and the Fed does not want to be that tipping point." Qunicy Krosby, a market strategist with Prudential Financial, said that the Fed should show more concern about what's going on with oil. Two key Fed officials said earlier this month that the drop in energy prices was a good thing because it should help lift consumer spending. But with prices plummeting even further since then, Krosby said the Fed may have to reevaluate that argument. "You can look at how lower oil helps the U.S. economy, but this is not an equation that's equal on both sides. It could be a sign of weakness in Europe, China and Japan. Plus, you are starting to hear about domestic job cuts in the energy industry," she said. Bond investors seem to be betting that the Fed will remain cautious. That's likely due, in part, to what's going on with oil. The yield on the 10-Year U.S. Treasury is currently just 2.12%, not far from the 1.87% low point of the year. If the bond market expected rates to go up sooner rather than later, investors would be more apt to sell bonds and push their yields higher. "One of the Fed's goals is to keep inflation in check. There is none. That's why I think bond yields are going to continue to fall," said Brian Needleman, chief investment officer with Cornerstone Financial Partners.